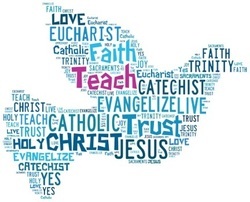 St. Thomas More offers Religious Education for all ages so that everyone has an opportunity to learn more about their faith and how to live the Sacramental Life. Religious Education at St. Thomas More includes Faith Formation classes for classes for pre-k and kindergarten ages children and teens in grades 1-12, a Youth Ministry program, Y-Disciple for teens in grades 7-12, and Adult Education classes such as Bible Studies, Catholic Book Studies, and Apologetics classes. 9:00 am - 10:30 am for school age children in grades K through 8. ​Sign-up forms may picked up in the Social Hall or printed on line by clicking on the print registration form link below . “Don’t let anyone look down on you because you are young, but set an example for the believers in speech, in conduct, in love, in faith and in purity.” 1 Timothy 4:12. St. Thomas More’s Youth Ministry program, Y-Disciple, strives to model teens so that they may be genuine disciples of the Catholic Faith! During meetings we discuss the faith, the culture, and try to answer the tough questions about life. 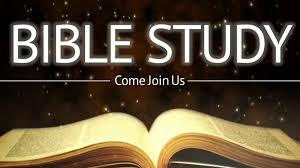 All youth in grades 7-12 are invited, and we meet every Sunday evening at 4:00 in the Youth Room. ​ info@stm-church.org for more information​. Contact the office at (317) 831-4142 or email us at info@stm-church.org for more information​. ​​ Contact the office at (317) 831-4142 or email us at info@stm-church.org for more information.